We are an experienced Canadian cement finishing company serving Kingston, Belleville, Napanee & surrounding area. With 30 years of experience in the field, we have provided professional and quality service to a wide variety of clients. Concrete Plus Cement Finishing excels in decorative stamped concrete. Interior and exterior services can be created to your unique specifications. We provide concrete colouring, stamped overlay, textured concrete, turning your patio, walkways, driveways and pool decks into delightful living spaces. We provide services to Residential, Commercial and Municipal projects. Please visit our Gallery to see some of the many projects our customers have entrusted to us. Concrete Plus Cement Finishing can provide you with the solutions to any of your home or business requirements. Find out more about our Services here. 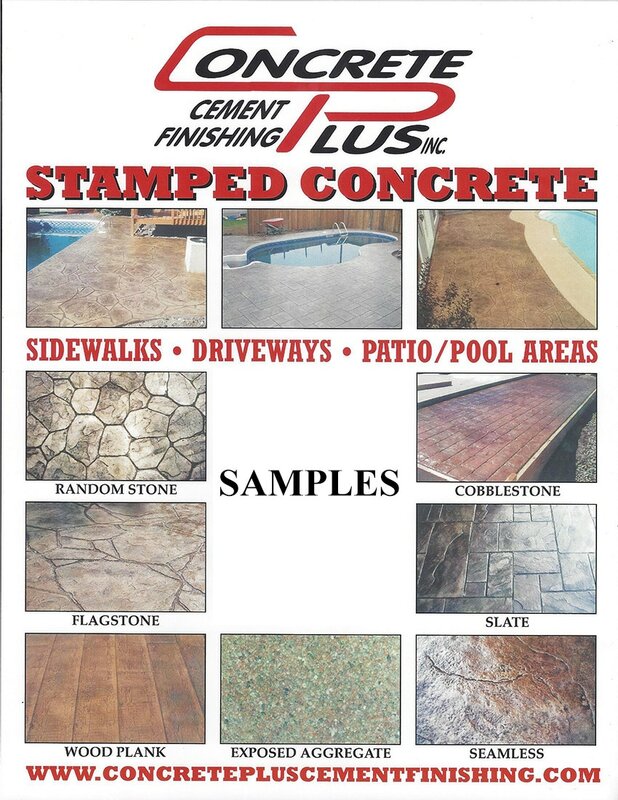 Copyright © 2013 - Concrete Plus Cement Finishing Inc.